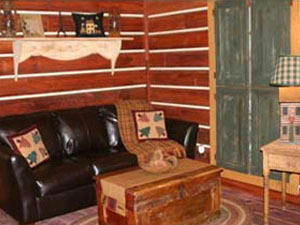 The Log Cabin Suite, the second of our larger suites on the first floor. 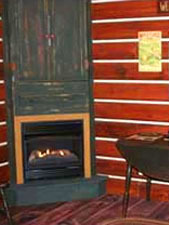 Cozy and comfortable with log siding on the walls and old wood floors, queen size log bed, private bath and whirlpool tub, fireplace, refrigerator and a bunk bed room, the Log Cabin Suite can sleep up to four guests comfortably. 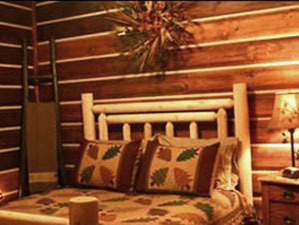 The Log Cabin Suite is available for $125 per night. Click Here to request a reservation online.